Looking to keep active at your desk. 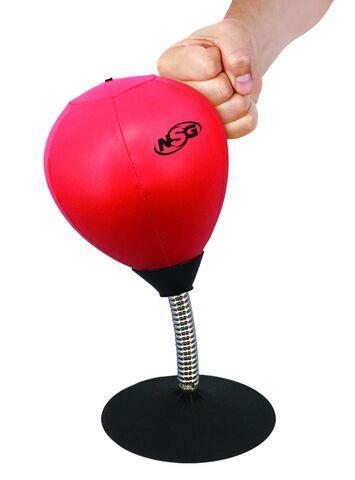 The Table Top Boxing Set is perfect for working on your hand-eye coordination and stress relief. It can adhere to any flat surface - table, wall & ceiling! Includes a heavy duty metal spring, a super strong suction cup, premium speed ball with pump included. Dimensions: L: 9.5" x W: 4.5" x H: 9"